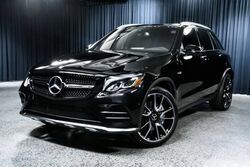 Capable, agile, and stylish, the Mercedes-Benz GLC Coupe is loved by its owners for its awesome versatility and fun-to-drive performance. See how the sporty coupe stacks up against the competition in the following 2018 Mercedes-Benz GLC Coupe vs 2018 Porsche Macan comparison. The Mercedes-Benz GLC Coupe and the Porsche Macan both offer generous starting prices, but GLC Coupe owners will save more money long term with its better fuel economy ratings. Both coupes sport a 2.0L I-4 turbo engine, but the Macan generates about ten more horsepower. Both the GLC and the Macan sprint to 60 MPH from a complete standstill in less than 6.5 seconds. 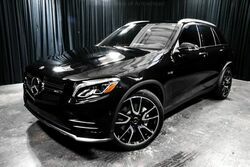 The coupes are closely matched, so how about getting a feel for the GLC with a test drive? 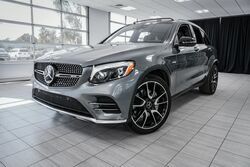 Stepping inside the GLC Coupe reveals a spacious, upscale cabin space packed with advanced amenities and intuitive technology. One of the most notable features is the 7" freestanding color display and its central controller located on the center console. The screen and controller give users convenient control of audio, hands-free calling, and navigation functions. Five years of mbrace® Connect services also come standard.